It is with these insights into life that we bring you a concept in homes that recreates the joys of living. Pairing elements of luxury and essence, BT Homestead as always aims to cultivate a healthy and nurturing community lifestyle. From young families with children to couples with a peaceful lifestyle in mind it’s all here. A celebration of living in a community environment. Where individuality is celebrated as much as togetherness. Where nature is an integral part of the living environment. It’s a celebration of living in a home built with quality and superior design. Of living in the right place and at the right price. The one point tower, spread across an unstinting 2.5 acres, offer the exclusivity of a low-density living area with only 202 freehold units. Showcasing a timeless facade inspired by contemporary trends the new condo comprises one point block of 202 units and an annexed six-storey car park building with a common podium, equips with essential facilities, and serves as a convenient point where the buildings meet. There are four types of typical floor plan design with at least three bedrooms and two-bath units, with mid-size built-up area ranging from 1,066 – 1,632 sq. ft. There are four types of penthouse units with built-up area ranging from 1,978 - 2,895 sq. ft. The project has been designed to bring out the ultimate of high-rise modern living in a very livable environment in a sought after location. Mid size units with practical floor plans for easy maintenance and practicability. Optimum specifications that add values. Incorporate classy façade based on contemporary trend. Provide good facilities to improve quality of life. Provide conveniences/amenities for comfortable living. Develop overall concept befits the target market segments. Smart and functional units’ floor layout designs. Decent sizes with big features (all units have at least 3 rooms and 2 baths). 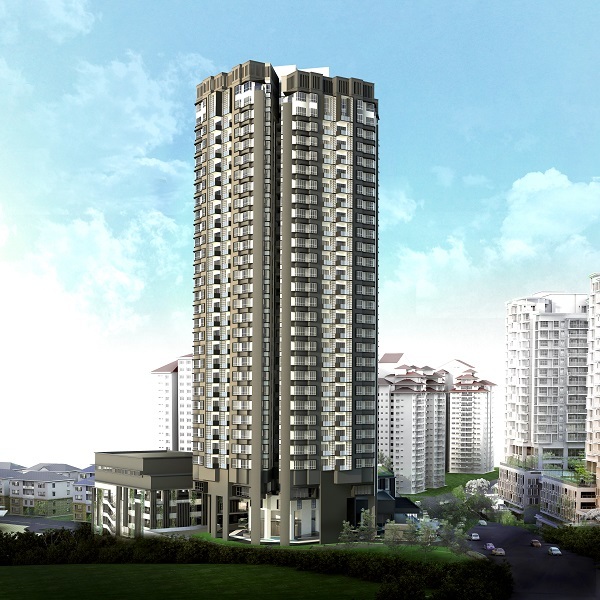 Centrally located within the prime area of KL City Centre and Petaling Jaya. Easily accessible from Jalan Duta, Jalan Bukit Kiara, Jalan Segambut and Sri Hartamas. Prestigious neighborhood in the vicinity of Istana Negara, Sri Hartamas, Bukit Kiara, Mont Kiara, Damansara Heights/Bukit Damansara, Bukit Tunku and Duta area. Thriving neighborhoods with good schools, markets, shops, clinics, police kiosks, petrol stations and etc. Freehold and low density (only 202 units). Magnificent and panoramic views of greenery, Genting view, Mont Kiara view, themed landscape garden, city view and facilities podium view. The units, mid-size with practical floor plans and functional layouts, are easy to maintain for those with busy city lifestyles. 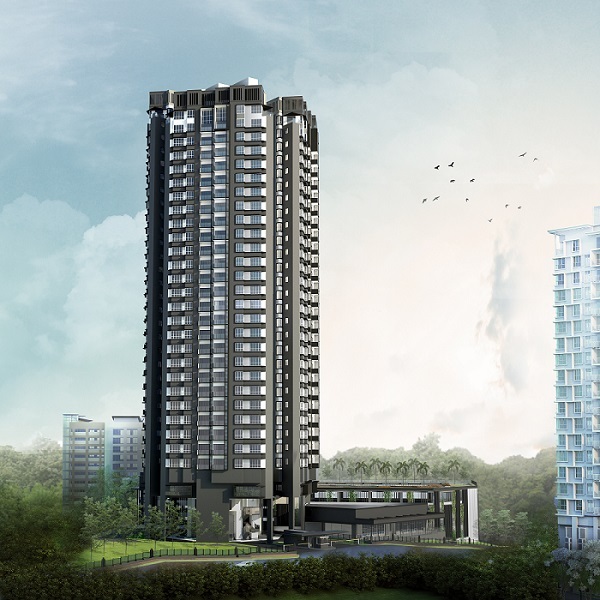 A step outside the units incorporates breathtaking, panoramic views of Mont’ Kiara, Genting Highlands and the green, landscaped beauty of Kuala Lumpur city. Also within the eye line are prestigious adjacent neighborhoods which include Damansara Heights, Bukit Tunku, the Palace, and Sri Hartamas, among many. 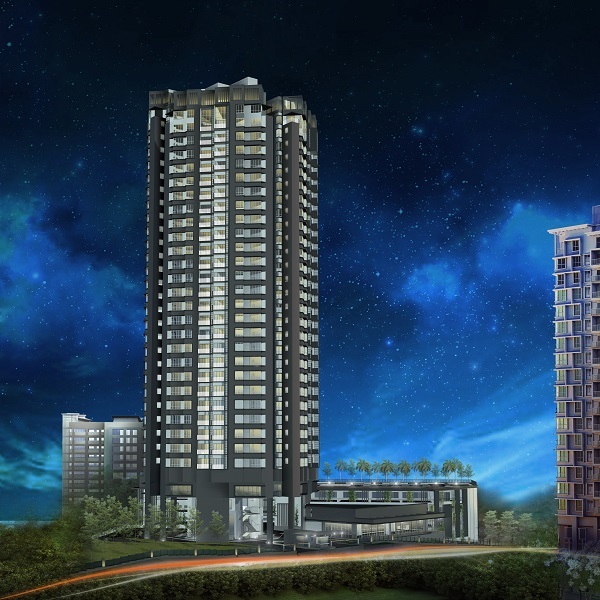 Units facing the northeast also include views of Villa Makmur, Kepong, Mesra Teres and the main entrance of 28 Dutamas, while units towards the southwest boast views of Mont’ Kiara and Kuala Lumpur. 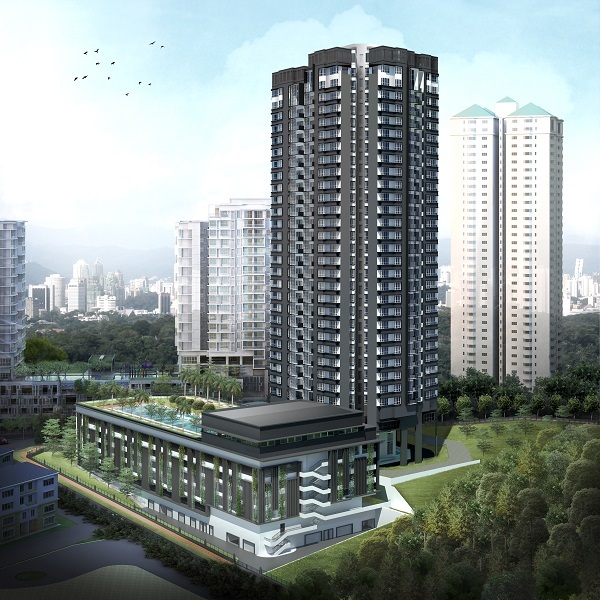 The pool and podium, as well as the view of Segambut Hill, flank units in the northwest, while the ones facing southeast enjoy sights of the Matrade, Menara Duta 1 & 2 and Kuala Lumpur city. Penthouse A: 1,978 sq ft with 4 bedrooms, 4 baths, yard, balcony, study and gallery. Penthouse B: 2,291 sq ft with 4+1 bedrooms, 5 baths, yard, balcony, study and gallery. Penthouse C: 2,413 sq ft with 4+1 bedrooms, 5 baths, yard, balcony, study and gallery. Penthouse D: 2,895 sq ft with 5+1 bedrooms, 5 baths, work yard, garden, gallery and study. One of the most unique and practical features of the new condo is that every unit is a corner unit. This valuable aspect of the condominium styling offers greener views, greater natural ventilation and sun light for all residents to enjoy. Some of the units in the new condo come with additional storage space in the car park building for bulky items. 2 baths, yard, private lobby. 2 baths, yard, store, private lobby. Taking into account that a condominium’s facilities are the linchpin for a wholesome life, the new condo has an array of wonderful amenities at the disposal of their residents. Landscaped Garden: Tearing away the surrounding concrete jungle lays a beautifully-landscaped garden. The surrounding foliage makes for a tranquil space for residents to meditate on their thoughts or enjoy a pleasant, quiet evening. Half-Olympic Size Infinity Pool: the condominium comes with a beautifully-landscaped infinity pool. Whether residents want to exercise with laps, enjoy the view in the cool water or just lounge on deck chairs, the pool is a perfect place for moments of relaxation. Gym: No time to travel to the gym? The new condo comes with a fully-equipped gym for those who have hectic schedules. Well-ventilated and in a bright space, residents can expect a full work-out in style. Children’s Play pool: The play pool area for children, surrounded by the landscaped garden, doubles up as an eco-park for kids. The pool is a safe yet exciting playpen for the little ones. In door Playground: For equal amounts of fun while staying dry, the playground in the new condo incorporates not only fun in its design but also serves as a space to stimulate and inspire young minds. Multi Purpose Hall: A place designed for indoor sports such as badminton or basketball or hold major functions/events such as weddings or parties. The project has been designed and innovated with great set of facilities such as a swimming pool with kids pool, kitchenette, gymnasium, convenient shops, multi-purpose hall, nursery, launderette, reading room, covered terrace, car parks, children’s indoor playground and a play pool, themed landscape garden, visitors waiting area and multi tier security. BTHomestead will also provide high standard of property management and maintenance services upon completion of the development in order to ensure the purchasers reap optimum benefits from their assets in terms of rental yields and/or capital growth. 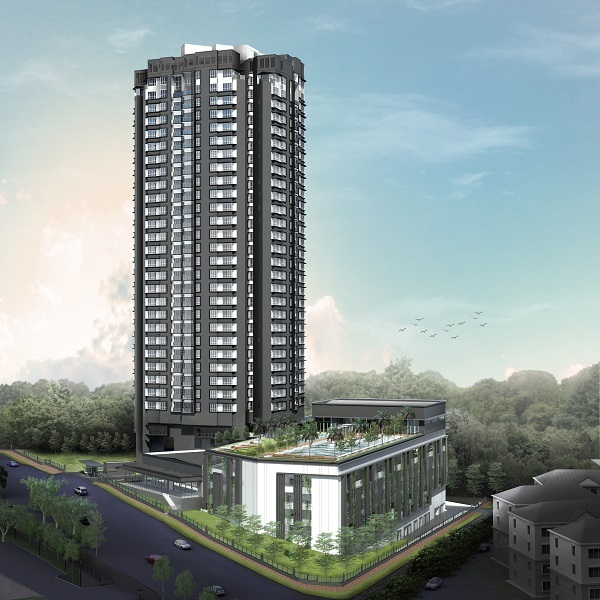 The project site is sitting on a gentle sloped freehold land with an area of 2.531 acres in the west sloping down to the west side at Lot 1576, Jalan Dutamas Raya, 52100 Kuala Lumpur. The target market of the project are those individuals who want to own a condominium around the vicinity and yet could not afford the Mont Kiara prices, investors buying for capital appreciation and rental returns, existing owners around the vicinity of Dutamas, Segambut, Sri Hartamas, Kepong, Mont Kiara and others who are up graders with or without parents support, singles and just married couples with or without family members or young children; who are white collar professionals that have had tertiary education or self starters or entrepreneurs; their age group would range from between 28-50 years of age; with total monthly household income of at least RM15, 000 – RM30, 000; interested in smart lifestyle and have awareness in quality of life, comfort, health, hygiene and security but willing to pay a little more for good living and/or practical reasons. Council approval has been obtained and barring any unforeseen circumstances the New Condo project will be launched as planned in 2018 or 2019.